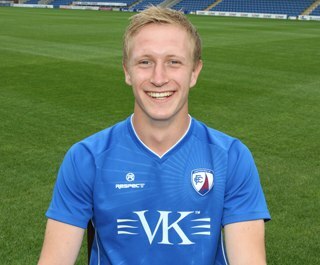 Home /Breaking News, Local Sport/Will Scott Boden become a Chesterfield FC Legend? During his last spell at the club, Scott Boden was one of those players who divided opinion. He was quick but not breathtakingly so. He was only average in the air but he worked hard and was a good finisher when the chances were presented to him. Boden was often used as a substitute during his first spell as a Spireite. He notched a modest 15 goals in over a hundred games, which is one of the reasons why he spent a lot of time on the bench. Since he left the Proact in 2014, Scott has some 58 goals in 218 games to his credit. Statistically, this ranks him as a reasonable goalscorer, not a prolific one. That said, whilst he endured lean goalscoring spells at both Inverness and Wrexham (weighing down his strike ratio) he had a very good non league season at Macclesfield. The 11 league goals he has plundered so far this season have made him Gateshead’s top scorer, influencing Chesterfield to finally pay decent money to secure his signature. Scott has immediately endeared himself to the Spireites faithful by describing Chesterfield as ‘his club’ and demonstrating a genuine desire to come back. Boden comes back to Chesterfield at a fragile time in the club’s history. The tiny revival we have seen under Sheridan has inspired some optimism but the memories of the early purple patch that Jack Lester enjoyed are not too long ago and remain lodged in the memory. This purple patch, of course, ebbed away and ended in disaster. Success this season will be defined as achieving mid table mediocrity, and if Boden can contribute 7-10 goals towards this effort in the games that remain, such is the fear of the abyss that awaits us beneath, one suspects this achievement would earn him the label of hero and Spireites Legend. Those Chesterfield fans who remember Scott’s playing style from his last spell will recall that he’s a striker who relies on and needs service. He’s not going to cut inside and curl one into the top corner from 30 yards, as we saw the likes of Craig Davies do in the past. This begs the question about midfield supply. 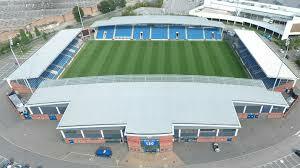 For three seasons now this centre field deficiency has been Chesterfield’s achilles heel. One wonders what John Sheridan (a former midfield maestro himself) makes of this? Let’s hope he has a plan to address this midfield frailty to give the likes of Boden and other strikers the supply they need. Whether that solution comes by using midfield personnel who are already at the club or he chooses to bring in new signings will be an interesting one to watch.